Weather and road conditions can change in an instant. 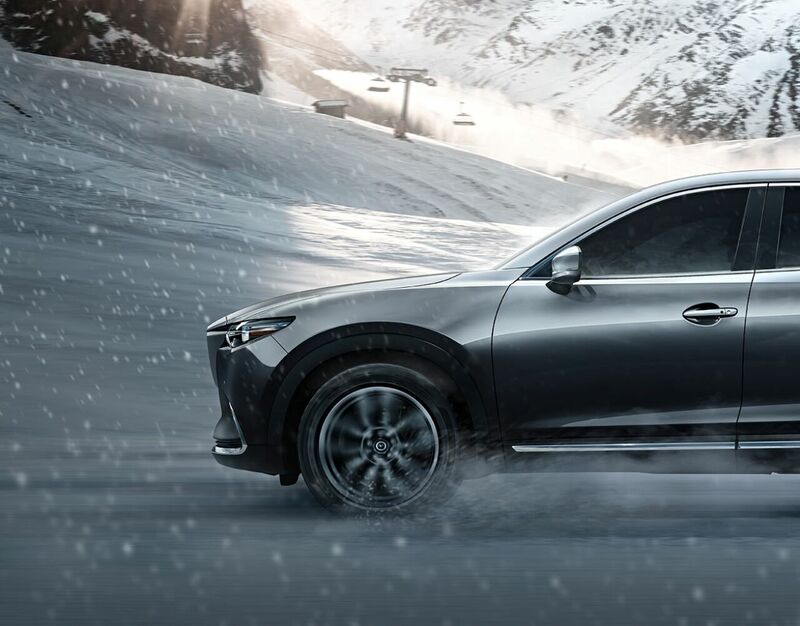 That’s why Mazda’s available predictive i-ACTIV AWD® all-wheel drive system monitors everything from outside temperature to throttle input and braking patterns. Using that information, it adjusts power delivery to help give you optimal traction before your wheels can slip. 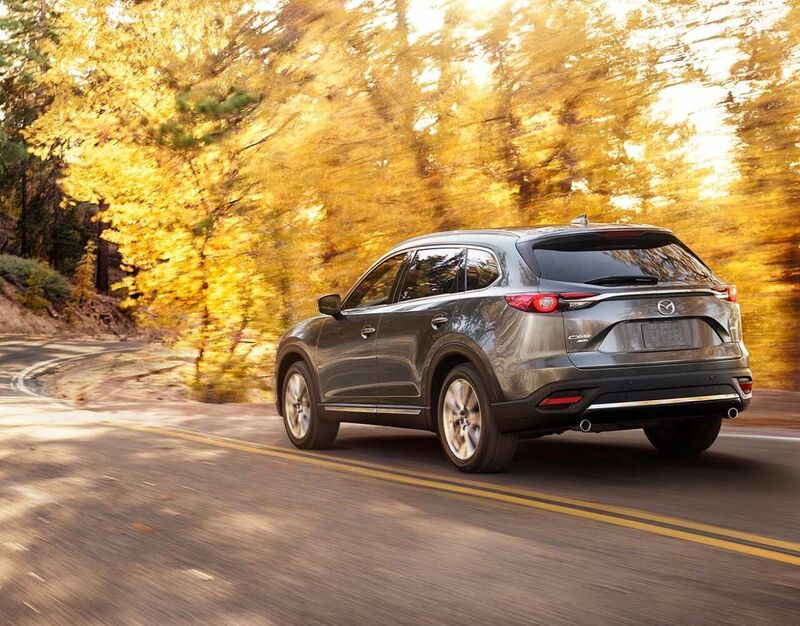 Even when the weather’s perfect, i-ACTIV AWD® helps stabilize and improve the Mazda CX-9’s overall road grip by sensing changes in steering effort and traction. When it comes to driving, there’s no such thing as a “minor” detail. That’s why we considered every single one when we crafted the Mazda CX-9’s indulgent Signature Trim. Supple Nappa leather, sculpted aluminum and genuine Rosewood deliver a multi-sensory driving experience of sophistication and indulgence. The grocery run.  The cross-country excursion. The evening out. With its indulgent interior and a multitude of cargo configurations, the Mazda CX-9 is equipped to handle every kind of drive in style. But while comfort and sophistication are evident in each of its 7 seats, we’d like to recommend the one with the steering wheel. 1 Starting at $32,130 MSRP plus $940 destination charge (Alaska $985) for 2018 Mazda CX-9 Sport FWD models. MSRP excludes taxes, title and license fees. Actual dealer price will vary. See dealer for complete details. 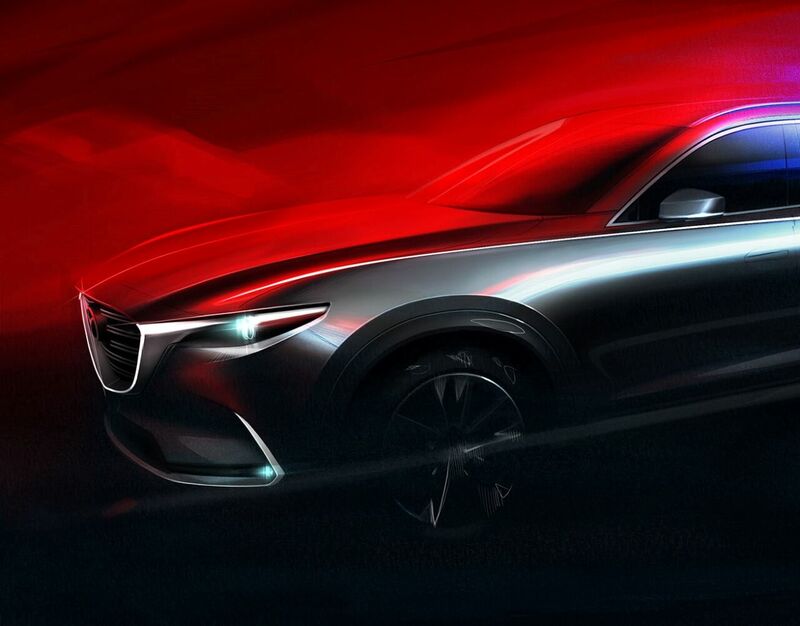 Mazda’s KODO: “Soul of Motion” design philosophy conveys a sense of strength and energy manifested in the Mazda CX-9’s athletic stance, elongated hood and tapered roofline. The overall effect is a combination of composed power and instantaneous movement, resulting in a truly striking 7-seater SUV. Available predictive i-ACTIV AWD® all-wheel drive monitors everything from outside temperature to throttle input and braking patterns. Using that information, it adjusts power delivery to help give you optimal traction before your wheels can slip. Even when the weather’s perfect, i-ACTIV AWD® helps stabilize and improve the Mazda CX-9’s overall road grip by sensing changes in steering effort and traction. SKYACTIV®-VEHICLE DYNAMICS with G-Vectoring Control is an innovative technology that helps you steer more precisely by optimizing load control. It’s a highly efficient vehicle movement control system that operates in the background while you enjoy a spirited drive. It works smarter, not harder, to make you feel connected to the road.